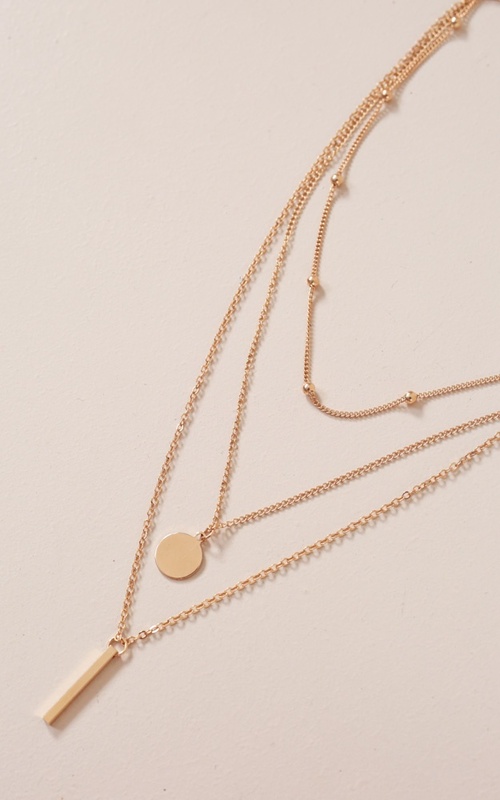 These necklaces sit nicely and are actually three separate pieces so you can wear them separately if you prefer. They sit as shown and are adjustable too. I was surprised when i opened it as they were actually 3 seperate necklaces instead of one conjoined neckase like i had thought. Aside from that i loved the way they looked and will definitely be wearing them a lot. They also came in a very cute little pouch!